The one and only Steve Irwin inspired an entire generation to care for wildlife, and how to say, “CRIKEY!” Tour Hosts Tim and Steph were profoundly impacted by his show The Crocodile Hunter and Steve’s passion for animals, years later they would both channel their own passions and pursue a career teaching about wildlife, conservation, and sustainability. 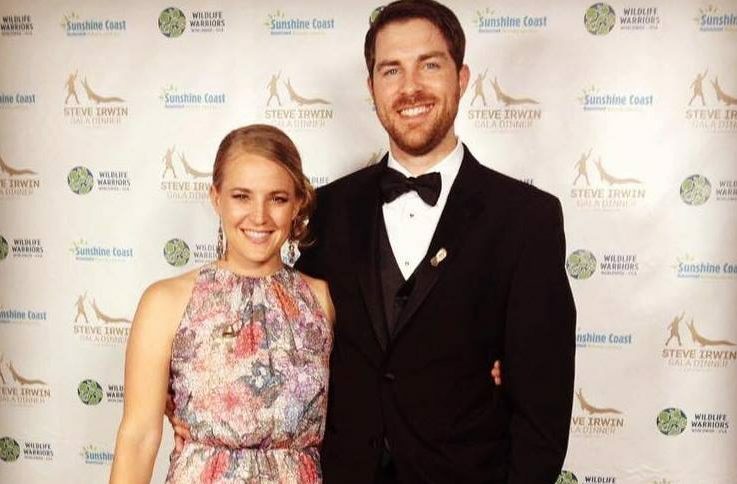 Tim and Steph were fortunate enough to learn about the first ever Steve Irwin Gala in Los Angeles in 2016, and it was an amazing experience. The night was full of music, speeches, and auctions – Stephanie even got in a small bidding war with Olivia Newton John’s husband over Robert Irwin’s first camera. This year, Tim and Steph flew from Washington to L.A. to show their support for this amazing cause to raise money for the Australia Zoos conservation, research, and rescue efforts. In addition to meeting Terry, Robert, and Bindi – Tim and Steph had a great time taking in music, dance, food and drink. They also were able to hang out with friends and tour sponsors, David and Melody Howell, owners of Integrity Ingredients Corporation. All in all, it was a short trip, but one to remember!